WELCOME TO MINOT STATE UNIVERSITY! Select your orientation program by using the link in the email you received regarding New Student Orientation Programs or call 701/858-3350. New Student Programming Fee: Students will be charged $125.00, the one-time New Student fee, which covers New Student Orientation (NSO) and Welcome Week(end) programming. This cost includes meals, facility usage, materials, and staffing. Check below to see Orientation Program options. Summer Registration and Orientation (SRO) April 8 - May 29, 2019 Summer Registration and Orientation is open to first-year and transfer students who will begin taking Minot State University courses during the summer semester. Summer Registration and Orientation allows new Minot State students to meet with an advisor and enroll in summer and fall semester courses. Transfer students who participate and complete Summer Registration and Orientation do not need to attend New Student Orientation. First-Year students will need to attend a half-day New Student Orientation program on May 30th or May 31st. New Student Orientation (NSO) - April 26, May 30, May 31, New Student Orientation (NSO) is an all-day program, REQUIRED FOR FIRST-YEAR STUDENTS, offered over the summer. At New Student Orientation (NSO), you can find out more about academic programs, student engagement opportunities, financing your undergraduate education, student success resources, understanding how to be a Minot State Beaver, and registering for classes. Actively participating in New Student Orientation is an important aspect of facilitating your transition to Minot State University. Online Student Orientation (OSO) provides an overview of Minot State and the available services to you. Students taking online-only courses to complete an online degree have the option to participate in online orientation. Students who choose to complete online orientation will first complete the online orientation modules, found on the Minot State University Blackboard system. After successfully completing the two orientation modules, students need to schedule a meeting with their advisor via phone, email, or skype. Once students have met with their advisor, they will be allowed to enroll in courses. As a First-Year Student, you have 3 options for orientation and class registration: New Student Orientation(NSO), Distance Student Orientation (DSO) (for students currently residing more than 500 miles from Minot), and Online Student Orientation (OSO) (students only enrolled in an online program). New Student Orientation (NSO) is an all-day program, REQUIRED FOR FIRST-YEAR STUDENTS, offered over the summer. At New Student Orientation (NSO), you can find out more about academic programs, student engagement opportunities, financing your undergraduate education, student success resources, understanding how to be a Minot State Beaver, and registering for classes. Actively participating in New Student Orientation is an important aspect of facilitating your transition to Minot State University. 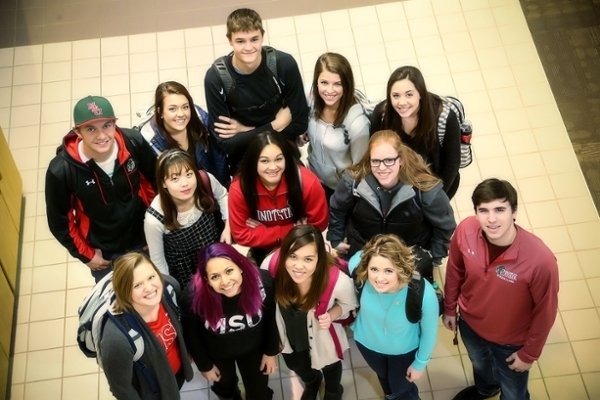 New US and Canadian students who live 500 or more miles from Minot State University and who will be taking classes at Minot State University in the fall semester can participate in Distance Student Orientation (DSO). You will “meet” via phone with an advisor. After meeting with an advisor, students will be allowed to register for classes. Students participating in DSO must attend a half day orientation on August 23, 2019. Online Student Orientation (OSO) provides an overview of Minot State and the available services to you. Students taking online-only courses to complete an online degree have the option to participate in online orientation. Students who choose to complete online orientation will first complete the online orientation modules, found on the Minot State University Blackboard system. After successfully completing the two orientation modules, students need to schedule a meeting with their advisor, they will be allowed to enroll in courses. Priority Transfer Orientation (PTO) allows transfer students to meet with an advisor and enroll in classes. Transfer students who participate and complete Priority Transfer Orientation do not need to attend New Student Orientation. If transfer students are unable to sign up for Transfer Orientation, transfer students will need to participate in one of the New Student Orientation programs. New Student Orientation (NSO) is an all-day program, offered over the summer. At New Student Orientation (NSO), you can find out more about academic programs, student engagement opportunities, financing your undergraduate education, student success resources, understanding how to be a Minot State Beaver, and register for classes. Actively participating in New Student Orientation is an important aspect of facilitating your transition to Minot State University. Transfer Student Orientation (TSO) allows transfer students to meet with an advisor and enroll in classes in July. Transfer students who participate and complete Transfer Student Orientation do not need to attend New Student Orientation. If transfer students are unable to sign up for Transfer Student Orientation, transfer students will need to participate in one of the New Student Orientation programs (July 19 or August 22). Priority Transfer Orientation is open to students transferring to Minot State University with 24 or more college transfer credits from other institutions. Priority Transfer Orientation (PTO) allows transfer students to meet with an advisor and enroll in classes. Transfer students who participate and complete Priority Transfer Orientation do not need to attend New Student Orientation. If transfer students are unable to sign up for Transfer Orientation, transfer students will need to participate in one of the New Student Orientation programs. New Student Orientation (NSO) is an all-day program, REQUIRED FOR STUDENTS who do not complete transfer student orientation, offered over the summer. At New Student Orientation (NSO), you can find out more about academic programs, student engagement opportunities, financing your undergraduate education, student success resources, understanding how to be a Minot State Beaver, and register for classes. Actively participating in New Student Orientation is an important aspect of facilitating your transition to Minot State University. Transfer Orientation is open to students transferring to Minot State University with 24 or more college transfer credits from other institutions. Transfer Student Orientation (TSO) allows transfer students to meet with an advisor and enroll in classes in July. Transfer students who participate and complete Transfer Student Orientation do not need to attend New Student Orientation. If transfer students are unable to sign up for Transfer Student Orientation, transfer students will need to participate in one of the New Student Orientation programs (July 19 or August 22) or the Minot Air Force Base Orientation scheduled at MAFB in August. Active Military who are new Minot State Students starting in the fall semester are eligible to participate in an orientation on the Minot Air Force Base. During this orientation program, Active Military Minot State Students can find out more about academic programs, student engagement opportunities, financing your undergraduate education, student success resources, and register for classes. Actively participating in the MAFB orientation is an important aspect of facilitating your transition to Minot State University. If Active Military Minot State students are unable to sign up for and attend the Minot Air Force Base Orientation, student will need to participate in New Student Orientation on August 22. As an International Student, you should plan to attend a New Student Orientation (NSO). New Student Orientation (NSO) is an all-day program, REQUIRED FOR MOST STUDENTS, offered over the summer. At New Student Orientation (NSO), you can find out more about academic programs, student engagement opportunities, financing your undergraduate education, student success resources, understanding how to be a Minot State Beaver, and registering for classes. Actively participating in New Student Orientation is an important aspect of facilitating your transition to Minot State University. Most International students attend the last session. An additional workshop for International students on a F-1 Visa will be held on August 25th, during Welcome Weekend.